Charles Hera: "Mesh Depot is the retail store with finished products originating at Naked Mesh, the wholesale division. 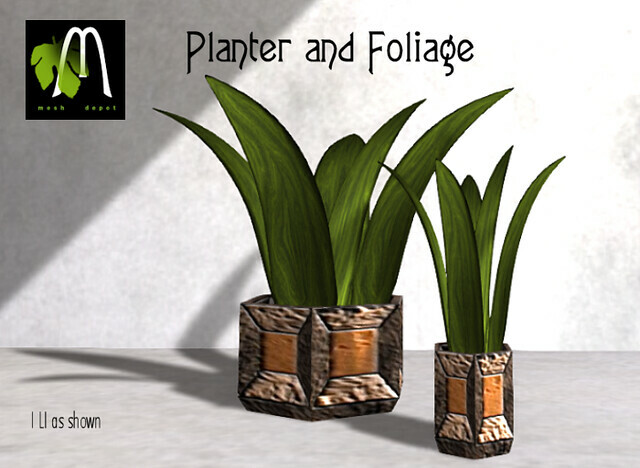 All items are original mesh made with high LOD values and low impact numbers. many items feature color change scripts. Most items are mod-copy. I enjoy working with mesh and seeing what can be produced as such a minimal land cost. 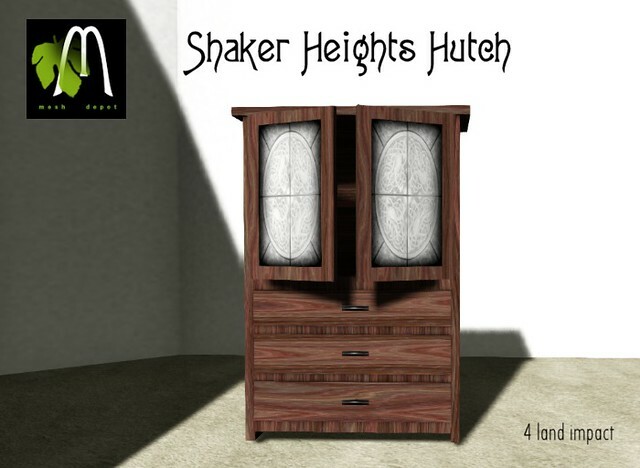 It is easy to be stylish even on a tiny lot now that we have the ability to do so much with mesh. 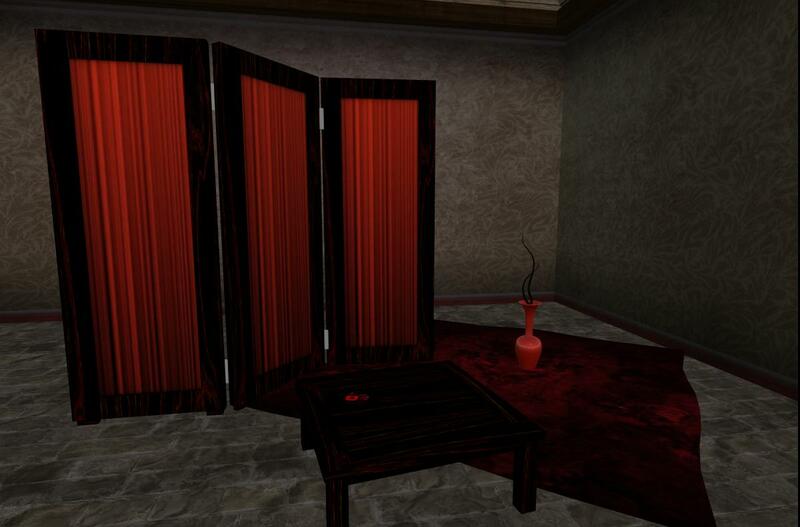 Charles Hera: "The Mesh Depot prize is a furniture and decor set featuring room divider (complete with cobwebs), coffee table with bloody handprint and a color change vase with twigs. Many items feature color change scripts. Most items are mod-copy.